Gold_fish - Illustration store PicsForDesign.com. PSP tubes, PSD illustrations, Vector illustrations. 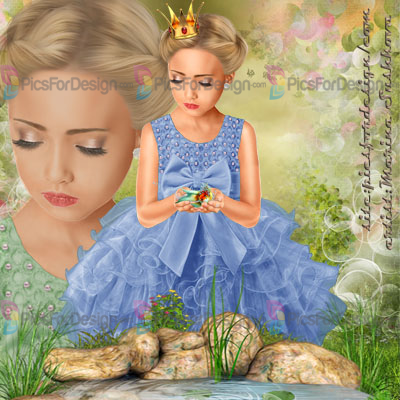 Girl, fish, water in hand, wings butterfly, wings dragonfly, crown, water, Flower Fairy, Princess.